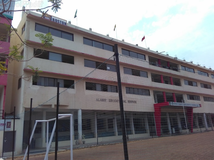 Find below the list of top CISCE / ICSE schools in Purandar - Pune with phone number, address, 360° School tours, 2018-19 Admission forms & Fees, photos, facilities & more. Sumati Balvan Gujarwadi School is located in Haveli, Pune. It was established in 2001. This school follows the State board. The school has Marathi medium. Ascent International School is located in Khed, Pune. It was established in 2008. This school follows the CBSE board. The school has English medium. The Vatsalya School is coming up with a huge Responsibility, a Challenge and a Mission. Responsibility towards each individual, towards their growth and towards their success. Challenge, to transform them into accomplished human beings. A Mission, to spread love, trust and bonding among them. Samta Vidyalaya School is located in Pune City, Pune. follows the State board. The school has Marathi medium. It's their endeavour to revolutionize the structures that govern our education. They aim to create a vibrant environment; where emphasis is given on each individual child to develop his artistic, analytical, scientific or linguistic ability. All this harnessed on the strength of modern technology that changing day by day. Although there are many top CISCE / ICSE schools in Purandar - Pune it is not necessary that each one is suited to your child's needs. That is why you need to analyze and consider every factor about the best CISCE / ICSE schools in Purandar - Pune before settling for one. Sqoolz's list of best CISCE / ICSE schools in Purandar - Pune makes this job easier for you. Find every detail that is necessary before choosing the right school. You can also take our virtual tour, a feature solely designed to give parents a sense of assurance.